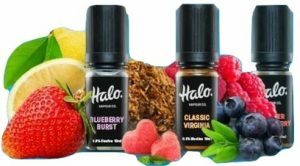 Halo E-liquid Review | Halo E-Liquids for Sale at E-Cigarette Direct. So we’re just going to jump right into it and ask: have you heard of Halo E Cigs? You haven’t? Yeah, we thought so, and there’s a good reason for that. They are a U.S. based e-cig company. Though they started in 2009, they were generally considered a tier-2 brand. Though they deserved to be mentioned alongside the other major brands, they never reached that next level. We believe this was due, in part, to their limited advertising budget. The founders actually started Halo E Cigs because there were no high quality e-liquids on the market at that time, not because they wanted to compete in selling starter kits. Thankfully, this strategy hasn’t changed much. However, it’s tough competing in a market (e-juice) where competition is fierce. This is exacerbated by the fact that Halo E Cigs don’t actually sell their e-liquids in the UK themselves; rather, E Cigarette Direct does the selling, which is essentially a distributor for Halo in the UK. Now, when dealing with distributors, as a general rule of thumb, it often negatively affects the customer in several ways (price increases, slow shipping, etc.). But, this is not the case at all with Halo / E Cigarette Direct. Let’s see why. One of the reasons why e-liquid connoisseurs should be thrilled about E Cigarette Direct is directly because they are distributors! Why? E Cigarette Direct was founded in 2008 by two vaper enthusiasts looking for high quality products only. This afforded them to scout out what was on the market and then make their decision accordingly. Halo E Cigs may not be a top five e-cigarette selling company in the U.S. but they are certainly a leader in e-liquids there. This led the two E Cigarette Direct founders to test out and ultimately sell Halo e-juice that is produced in the UK, and also 13 Sins and Simple Vape Co (also same level of quality but more expensive which we will get to below). The quality is simply outstanding for many reasons. For starters, all of their UK e-liquids are produced in “state of the art” government approved labs in the UK by actual scientists. They only use pharmacopeia grade nicotine. Pharma-what? These are set standards in the EU for nicotine. Each e-liquid is tested for all of the compounds that the media loves to frown upon – Diacetyl, Acetyl Propionyl, Ethylene Glycol, Diethylene Glycol and Acetoin. In fact, they are one of the only e-liquid suppliers to rigorously test each e-liquid for these compounds. During this testing, they are also able to verify the nicotine strength. And, while this last part isn’t essential, it’s nice to see: E Cigarette Direct is the only e-juice provider that states outright that inhaling anything is never going to be 100% safe. They don’t beat around the bush and paint an erroneous picture for their patrons. This statement simply proves to us their commitment to quality excellence. Remember when we said that a price increase doesn’t apply to E Cigarette Direct? We weren’t kidding! They sell 10mL bottles of Halo e-liquid for £3.51 – tied for second cheapest on the market. Simple Vape Co. is priced at £7.99 and 13 Sins is £14.40. However, Simple Vape Co. offers 15mL bottles and 13 Sins offers 30mL bottles. This is the equivalent of paying £5.33 and £4.80 respectively for a 10mL bottle of e-liquid. Factor in the quality you are receiving? Speaking straight from a price position, in our opinion it’s a “no brainer” to buy any of these e-liquids and test it out for yourself. Halo E-liquid – made in UK; 60%PG, 40%VG; 10mL bottles. Flavours available: American Red, Apple & Apricot, Blackjack Twist, Blueberry Burst, Bubble Trouble, Cherry Bakewell, Classic Virginia, Coffee Cream, Crazy Custard, Energy Rush, Fruit Fusion, Lemon Fizz, Manic Mango, Menthol Blast, Popular Blend, Pure Passion, Raspberry Crush, Spearmint Breeze, Summer Strawberry, Vanilla Icecream. Nicotine levels to choose from: 2.4%, 1.8%, 1.2%, 0.6%. 13 Sins – 40%PG, 60%VG, or 50%PG, 50%VG, or 30%PG, 70%VG; 30mL bottles.Flavours available: Jack 3, Nia 9, Suzy 6, Trixi 2. 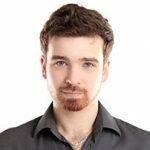 Nicotine levels to choose from: 1.2%, 0.6%, 0.3%, 0%. Simple Vape Co. – 20%PG, 80%VG; 15mL bottles. Flavours available: Chocolaccino, Honeycomb Cream, Choc Chip, Peaches & Milk. Nicotine levels to choose from: 1.2%, 0.6%, 0.3%, 0%. As far as customization goes, E Cigarette Direct is a top three leader in the UK e-liquids market, and probably top two. While you can’t mix and match flavours or set your own PG/VG Levels, you can choose from a variety of flavours and nicotine levels. Furthermore, there are several PG/VG ratio options to choose from (50/50, 40/60, 30/70, and 20/80). Aside from JacVapour, we would say that E Cigarette Direct is second best in the customization category.